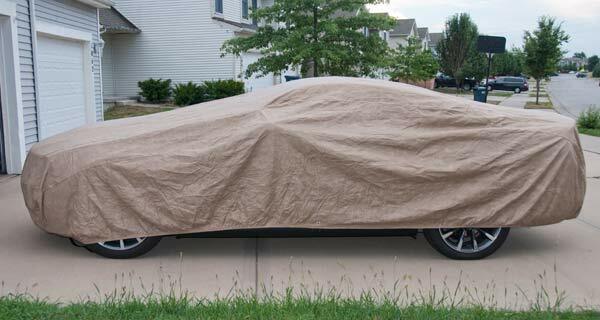 Empire Car Covers has a high quality 4 layer all weather cover that will protect your mustang from harsh weather and the sun. 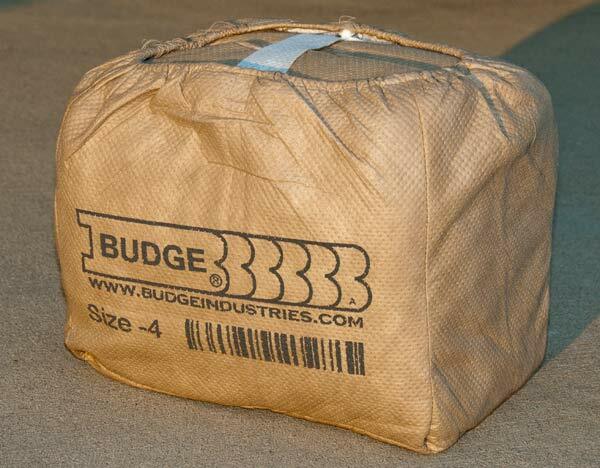 They have a wide selection of different mustang covers to choose from. This particular cover is their Titan Car Cover. This is their top of the line 4 layer cover. The Titan cover is ultrasonically welded together to ensure 100% waterproof protection.The cover works as a total protective system it has 3 outer layers of polypropylene and 1 inner layer of fleece. You can use the cover indoors and outdoors. 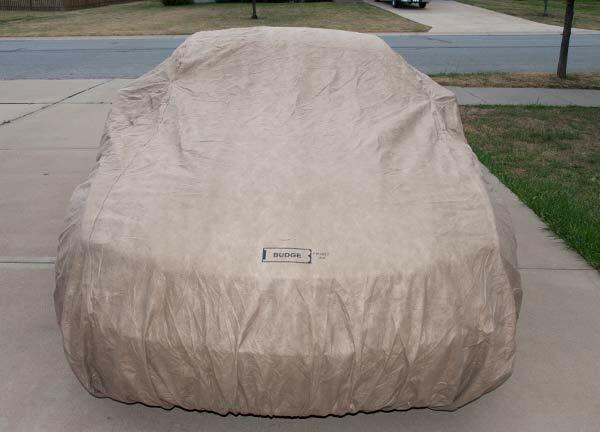 This cover has a lifetime warranty.The cover is breathable which allows moisture to evaporate and prevent mildew. The inner fleece layer is gentle on your mustangs paint. 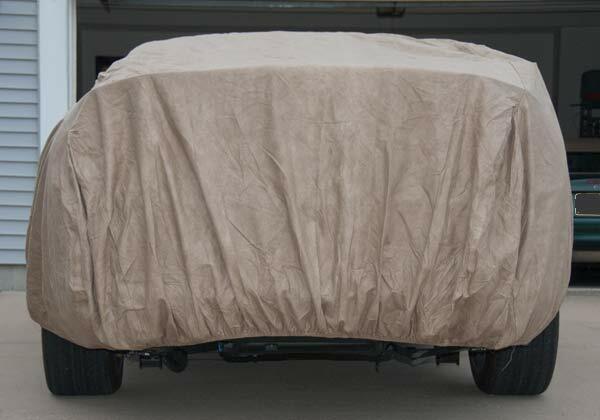 The cover is UV treated to protects your paint from fading plus helps keep the car surface cool.The Hem is fully elastic for a good snug fit with straps to keep it in place. Optionally available is a lock and cable kit that runs through special grommets on the sides of the cover. 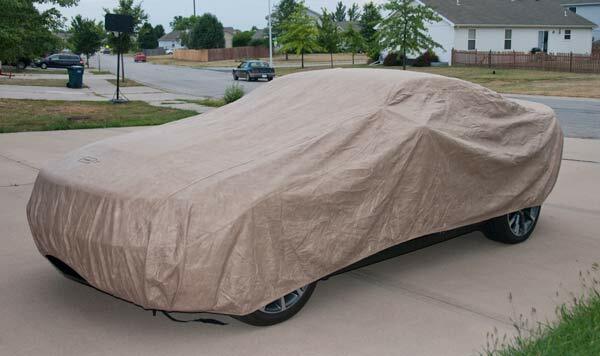 Here is the car cover new from the factory. Its folded up real nice. Don’t worry even after you use it the cover will fit back in the included pouch. There are two straps on the underneath side. From the factory you need to attach the quick clips to the cover and then adjust for placement. 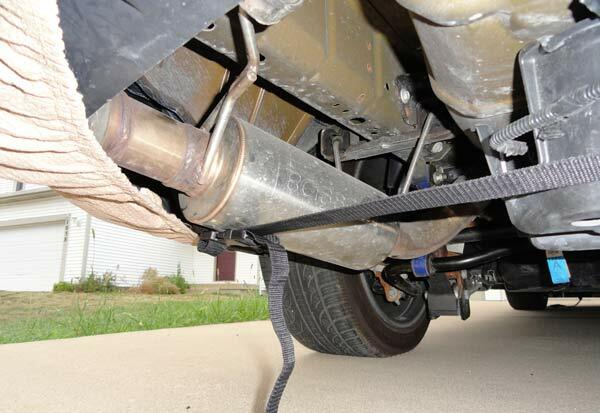 Run it back through and pull it tight. 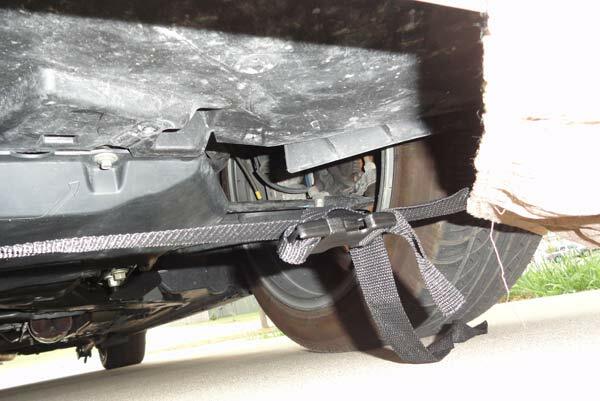 Once you have the cover on the car and the straps attached then you can pull them tight. Here is a shot of the rear strap. Here is the front strap.